Unless you own a studio, your website is your virtual storefront where people come to decide if they want to hire you as their photographer. This is one of the most important aspects of your business, yet many of us simply put something together when we create our first website and don’t put a lot of time or thought into anything except what images we want to show and maybe the colors of our branding. Not only that, but it looks a lot like all the other photography websites out there. While I think having beautiful images is a very important part of getting clients to hire you, it’s not even close to the most important part. Everyone shows photos. It’s REALLY hard to stand apart from your competition on image quality alone, especially considering most people don’t know a good photo from a great photo. So how do you stand out and attract your ideal clients like crazy? In order to attract your ideal client, you need to know what makes them come alive. While traveling recently, we drove past a car dealership in a small town. It looked like your typical small-town dealership just like you’d see in any other small town. However, on a spinning pedestal was a vehicle that made my husband come alive and swear that he wanted to drive 2 hours to go there to buy our next vehicle. Not only that, he continued to talk about this place for the next hour of our trip and later told some friends about it. So what was this incredible vehicle? A Delorian. On a spinning pedestal. Those of you who are fans of the 80s movie “Back to the Future” will understand why this appealed to my husband in a big way. They could have put a high-priced muscle car there instead, or a fancy SUV, but we’d have not looked twice at that because every dealership does something similar. But instead, by putting this very specific car that appealed to a small number of people, they kept my husband talking about it for far too long (sorry honey!) and I think he seriously would consider driving over 2 hours from our home to get a vehicle there because he thought that was stinking cool. This one move made this small, typical dealership become remarkable in his eyes. They understood what made him tick. 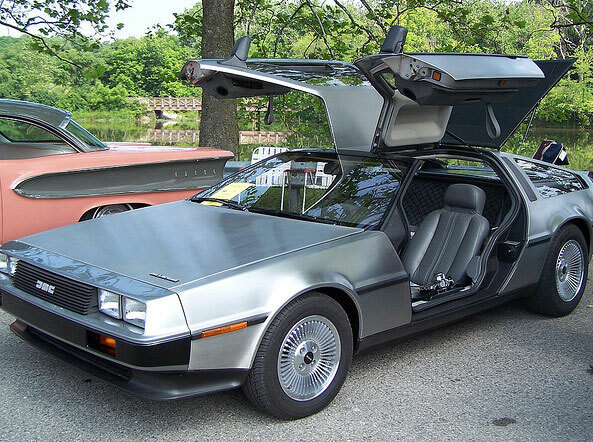 Clearly, the dealership was looking to attract dorky people in their 30s and 40s who dreamed of owning a Delorian back when they were a boy (or maybe even when they got older). What kinds of things can you add to your website that are going to make your ideal clients come alive and do whatever it takes to hire you? First, you need to know your ideal client and what they are like. You’ve got to get specific. Really specific. You’ll have NO idea what will make someone who “values my work and has enough money to pay for it” come alive and want to hire you. That’s far too general. Once you know what makes your ideal client come alive, you’ve got to make your website OOZE with things that will attract them. You want their entire experience and every thing they see and read to get them excited and not even think twice about wanting to hire you – they KNOW they want you as their photographer. That all sounds great, but it can be super hard to know who your ideal client is, and once you’ve identified them, how do you create a website that just sings to them? This is where my brilliant friend Jenkia comes in. 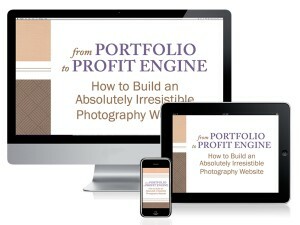 She just released a workshop-in-an-ebook called “From Portfolio to Profit Engine: How to Build an Absolutely Irresistible Photography Website” and this is exactly what she’s going to help you walk through. She’s not going to try and sell you any expensive website templates. She’s not going to teach you how to show up higher in Google. But she IS going to walk you through step-by-step how to take your existing site and transform it into a magnet for getting more ideal clients. Not only that, but she has several “dreamsheets” that help you figure out exactly who your ideal client is, and then how to transform your website so that they can’t help but to hire you. She sent me an advanced copy of this, and I haven’t been this excited about an ebook in a very long time. Not only is it going to help you with your website, but it’s going to change the way you think about every marketing aspect of your business. If you work through the entire ebook and make the changes she suggests, I have no doubts that you’ll make your money back SEVERAL times over. It’s that good. Click here if you want it now! Do you REALLY need to buy this? This is a fabulous question you should be asking yourself with every product you see. Here’s what I think. If you know exactly who your ideal client is and have concrete ideas on how to modify your website to start attract them after having read the post above, you’ll probably be fine and could try it on your own without the ebook. 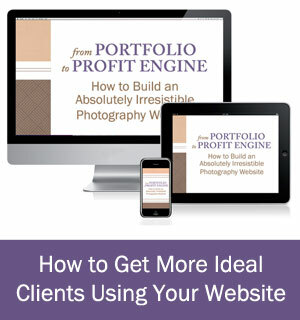 If you aren’t currently sure who your ideal client is and how to attract them, this will walk you through the process step-by-step and will give you several concrete ideas about how to figure out what makes them come alive and will tell you exactly how to modify your website to get them to book you like crazy. It even has a chapter about how to write better, which was a huge help for me as well. It’s stinking brilliant. You will be able to make changes sooner, with less time, and will be able to start attracting more of your ideal clients right away. More clients faster means more money in your pocket, easily paying for this guide. If I had this guide when I was first starting out, I think my business would have grown WAY faster than it actually did. It’s that good. The guide retails for $159, but right now it’s on sale through September 19th for only $99. Do your business a favor and buy a copy now, then set aside a day a week to work through it until you’re finished. It’s amazing, and the extra clients you’ll get from it will be incredible. Extra thanks for picking up a copy using my affiliate links above!